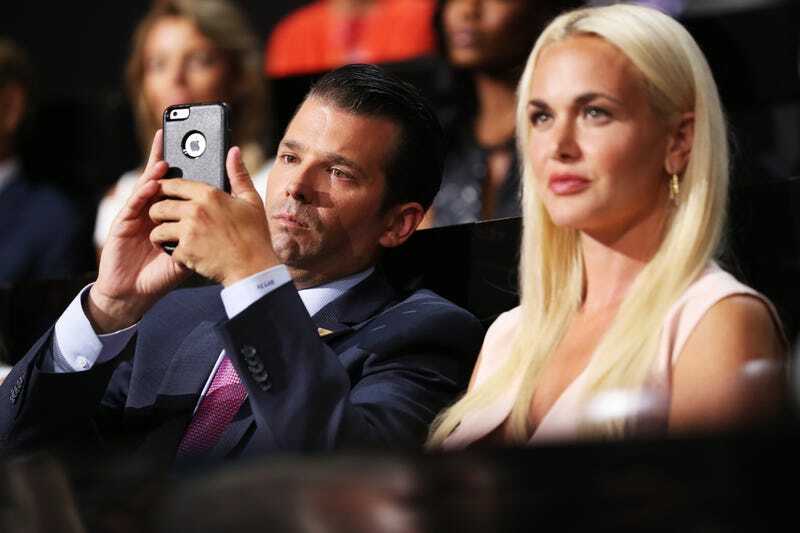 Ever since Daddy humiliated him in front of all of his classmates, Donald Trump Jr. has sought to ooze his way back into his father’s good graces in whatever way possible. That includes inviting the Russian government to meddle in the presidential election, proving his manhood by pensively chopping down trees, and sticking up for Daddy against those big, mean celebrities. You can bet, then, that when Jennifer Lawrence shared some anti-Trump sentiment in The Hollywood Reporter yesterday, Junior was there to remind her who’s boss. In an interview with Oprah Winfrey, Lawrence said she’s “got a pretty good speech” for Trump should they ever meet. “And it ends with a martini to the face,” she added with a laugh. Well, Junior didn’t like that. His response on Twitter was curt and, well, kind of ominous? So how would it end, Don? Christ, will somebody indict this guy already?